Salvia munzii Emerald Cascade is a compact shrubby California Native Sage. Salvia munzii Emerald Cascade is low growing with vibrant green foliage and blue flowers. Salvia munzii Emerald Cascade typically grows up to a couple of feet high and 3-4 feet wide. Note that Munz's Sage comes from dry habitat and when given a moister setting it will likely grow larger. Salvia munzii Emerald Cascade is tolerant of clay soils in a dry environment. Salvia munzii Emerald Cascade is drought tolerant and does best with a full sun location in the garden. As with many of the California native sages Salvia munzii Emerald Cascade will not be the first plant in the garden to be eaten by deer or rabbits. Salvia munzii Emerald Cascade is a great nectar source for the Painted Lady, Mournful Duskywing, California Dogface Butterfly, Cloudless Sulfur and the Northern White Skipper and is a nice addition to the Butterfly Garden as well as the Hummingbird Garden. 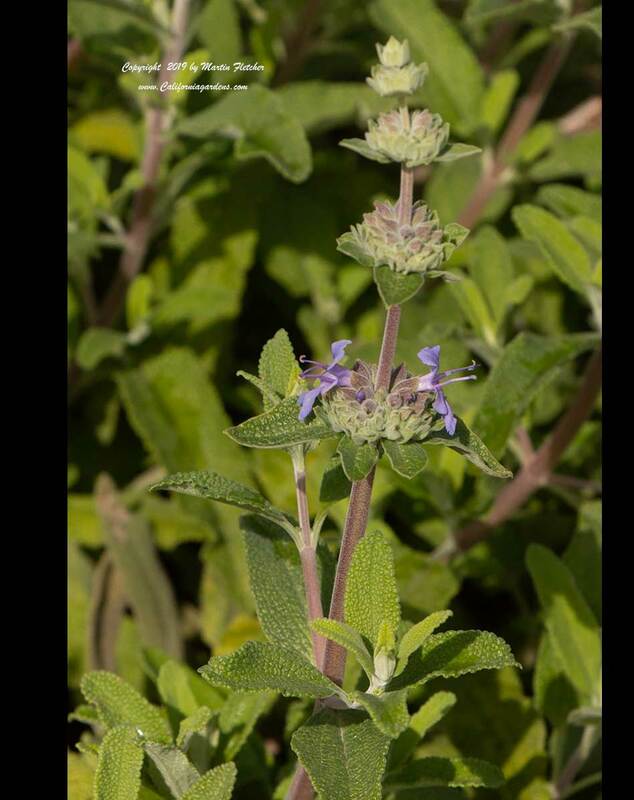 High resolution photos of Salvia munzii Emerald Cascade, the San Miguel Mountain Sage, Munz's Sage are part of our garden image collection.